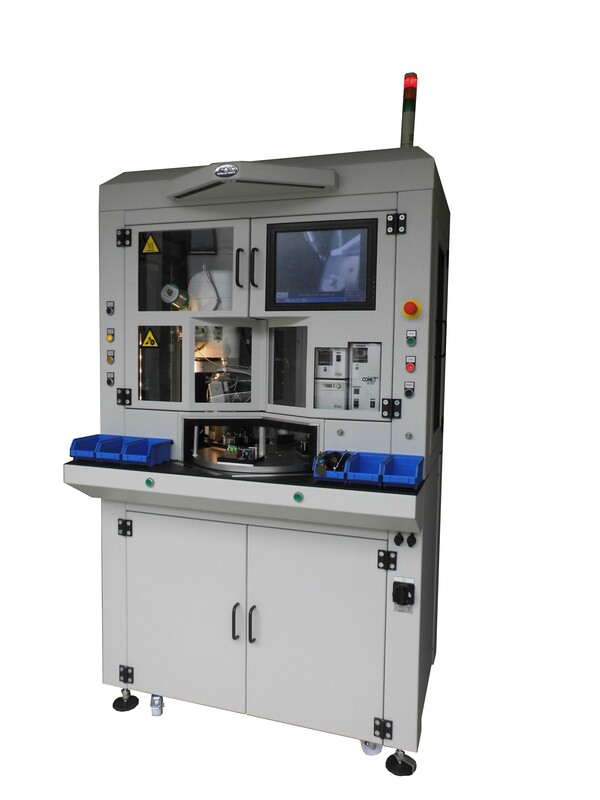 Custom build double shuttle or dial table solderingsystem. This machine is build on the unique specs of the customer and can be outfitted with a range of options in regards of camera’s, PLC, controllers, sensors, cleaning and in choice of working range of Scara robots. Recently also available in BOSCH or ITEM profile.